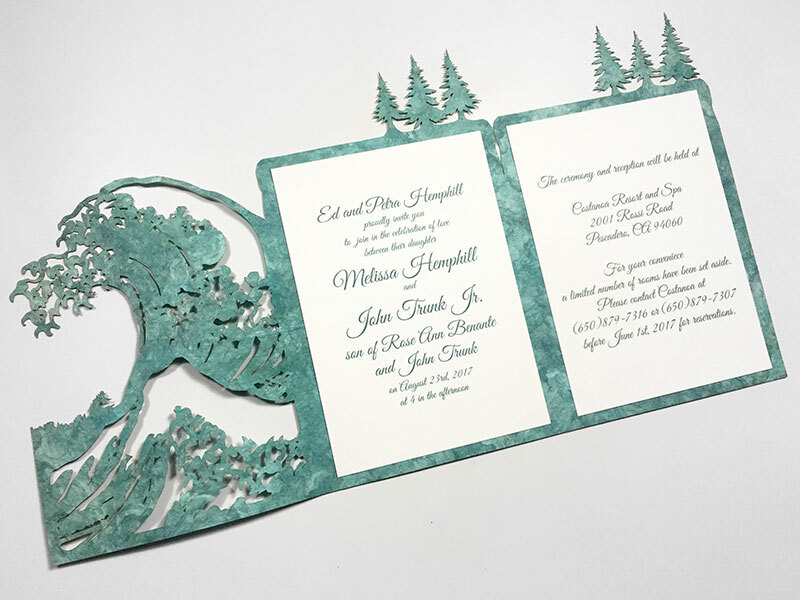 Hemphill/Trunk - Wedding Invitation - Pure Black, Inc. 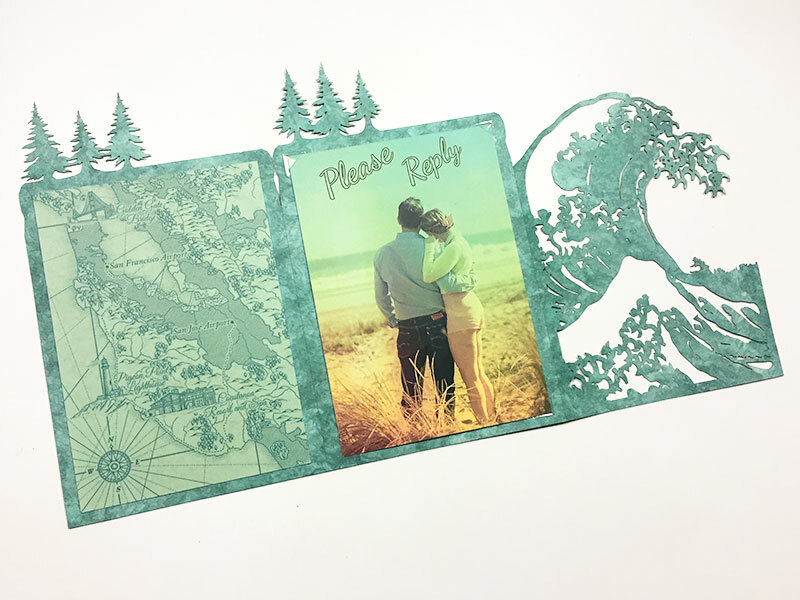 Check out this beautiful wedding invitation, using 4 printed inserts attached to the inside of a tri-fold laser cut sleeve on Amate Bark paper. 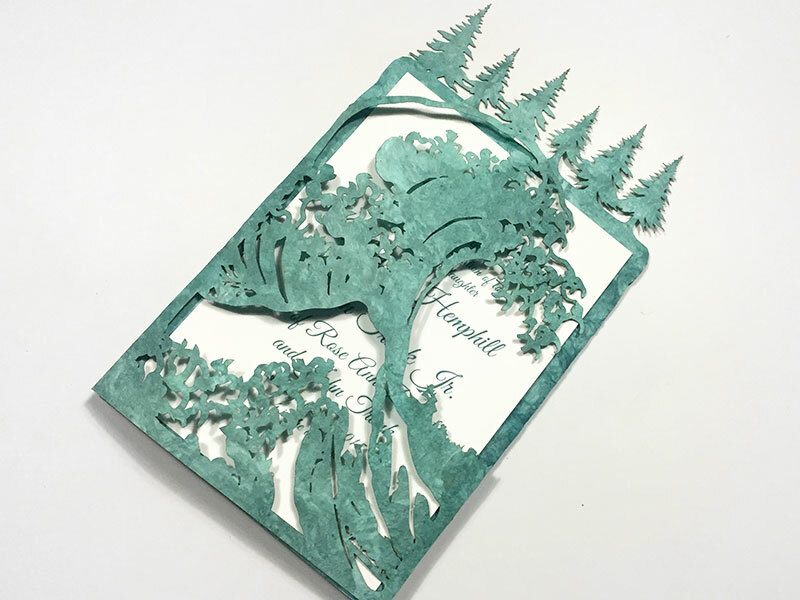 Congratulations to the couple and thank you to Melissa for trusting us with the job and having an excellent vision of what she hoped for the end product to look like.